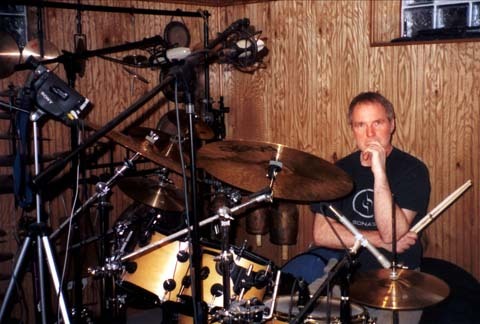 Paul has a full recording facility at home to add his unique drum and/or percussion tracks to your project. He's not only recorded for many projects based in the U.S., but also as far away as Spain and Greece. E-MAIL PAUL for more info. 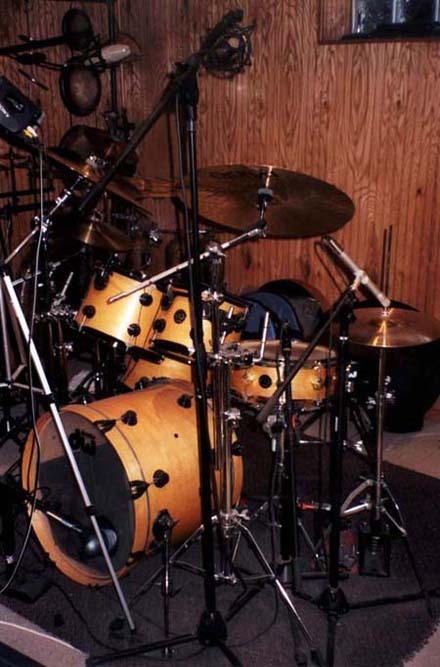 Paul's studio utilizes Cakewalk's SONAR 6 Producer Edition software, Shure Microphones, Alesis MultiMix 16 FireWire mixer, Metrophones, Hear Technologies monitoring system, FXpansion samples and Universal Audio and iZotope plugins, as well as many other products from various manufacturers.